An unknown underground club whirls into an assault, a dysfunctional dynamic, like the crowd were all being shaken by an earthquake crafted just for them and the cheap wooden stage and the towering PA ontop of the ominous black sub-woofers. The turquoise strobe-lights filter through your fingerprint-and-dust-stained glasses as you lifelessly toss and wobble your organism to the music amongst a crowd of other organisms whom share a similar thought helix to you (though their mental furniture is a lot different to yours plus you arent thinking of them). The magnesium (Mg) tinted frequencies pulsate through your frontal lobe and you can specifically feel your forehead moving slightly up and down. Your soul perhaps is trying to make you focus on your pineal gland as the lustre synths ebb & flow gracefully amongst the monstrosity of lo-fi percussion (and it should be noted that focusing silver light on your pineal gland for fifteen to twenty minutes a day has been an often used technique to awaken the pineal gland). This mass-impulse of gritty metallic bass nudges and pokes and pushes and stirs the crowd, and vaguely resembles the tense sexual anarchy of a Zion celebration after Morpheus and co. eliminate a brigade of squiddies in the Nebuchadnezzar. 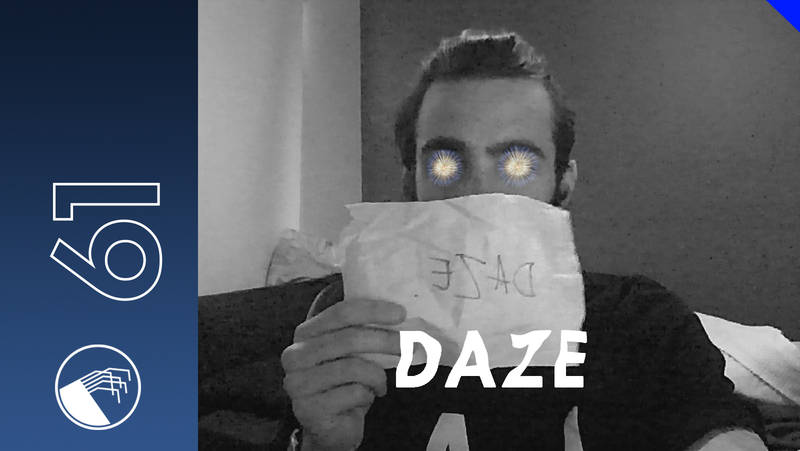 Daze is kind of an enigma at constructing fairly simple techno loops, but he adds this deep-fried-in-mercury-Earth feeling where the clouds float as colossal & hellish masses and the roots and soil even have the silvery gloss of mercury. A ripening techno producer who is introducing a new pearlescent tension to "simple techno loops", it alludes to the kind of tonnage of the gleaming, world-saving Mecha giants of Neon Genesis Evangelion. On the whole, we can anticipate an exciting 2015 of material.